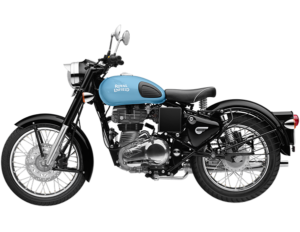 Check out Royal Enfield Classic 350 detailed review, price list, mileage, specifications, colors available, competitors and other details. It will not be exaggeration to say that the word ‘thumper’ got instantly popular among the masses due to advent of Royal Enfield Classic 350. 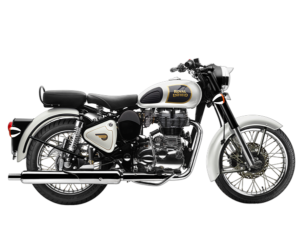 The bike is a modern version of the old and iconic Bullet and also one of the most popular bikes in the Royal Enfield portfolio. Based on the philosophy of a street cruiser, it carries a vintage appeal and pure retro charm. The round headlamps and long fenders remind us of the motorcycles of the late 20th century. Its rear part looks aggressive with long shining muffler and bullet style side indicators. The vintage motorcycle is powered by 346cc air-cooled engine that can produce peak power of 20.07PS and peak torque of 28Nm with transmission duties handled by 5-speed manual gearbox. The bike tops the speed of 130kmph. Despite of such a powerful engine, Classic 350 sips less fuel and is able to deliver 37kmpl. 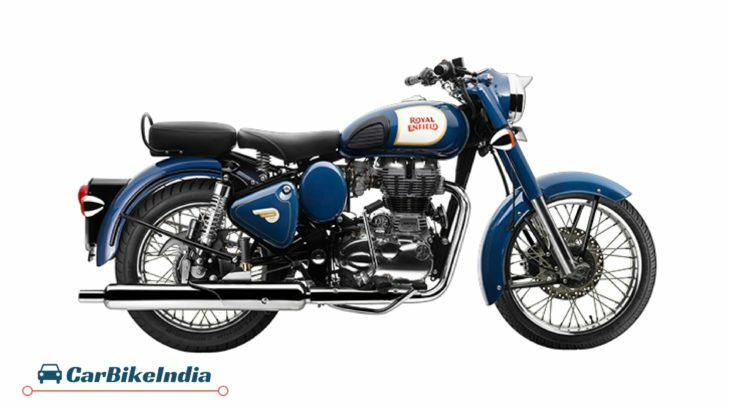 Royal Classic 350 competes against Bajaj Dominar 400, Mahindra Mojo 300 and its own sibling Royal Enfield Bullet 350. The vintage bike draws its power from 346cc, single-cylinder Twinspark air-cooled engine that generates 20.07PS and produces max torque of 28Nm. The motor is paired to a 5-speed gearbox. 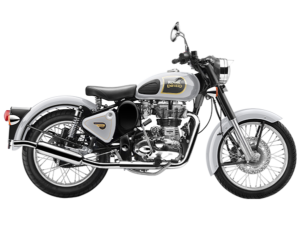 ALSO READ: Royal Enfield Bullet 350 Review, Price List, Specifications, Performance, Competitors and More! The ARAI claimed fuel efficiency for Royal Enfield Classic 350 is 37 kmpl. Under practical conditions, you can expect the Classic 350 to return mileage of 30 – 33 kmpl in city conditions and 35 – 37 kmpl on highways. 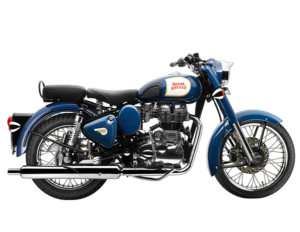 The Royal Enfield Classic 350 comes to a halt effortlessly with the help of 280mm disc brake fitted in the front and 153mm drum brake at the rear. The bike has been crafted on single downtube type chassis that grips the engine as a stressed member. The suspension system including telescopic forks at the front and twin gas charged shock absorbers at the rear with 5-step adjustable preload, keeps the ride smooth and suave. 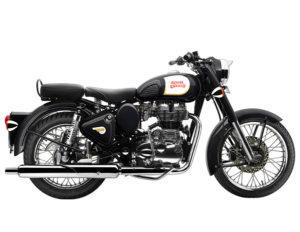 The Royal Enfield Classic 350 rolls on 90/90-19” front and 110/90-18” rear tyres with spoke wheels, keeping the traction level high and effective on road. 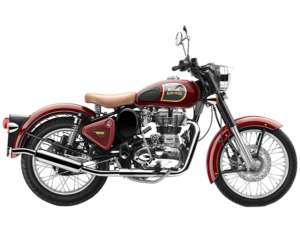 Royal Enfield Classic 350 is offered in 8 exciting colors – Ash, Chestnut, Lagoon, Silver, Black, Redditch Red, Redditch Green and Redditch Blue. With all the that boldness, machismo and retro look, the Classic 350 can still give tough competition to Bajaj Dominar 400, Mahindra Mojo 300 and bikes of its own family such as Royal Enfield Thunderbird 350 and Royal Enfield Bullet 350. ← Renault KWID Review – Price List, Mileage, Images, Specifications, Exterior, Colours, Features & More!